The Hard Rock Signature Series #35 edition merchandise is inspired by Pitbull, and it benefits the SLAM! Foundation to help advance learning opportunities for children around the world. The new Signature Series limited-edition shirt features a Miami Vice-like design of his famous moniker, “Mr. Worldwide”. The ladies crop-top is available at Hard Rock Cafe locations all around the world in their Rock Shops and on their online store. 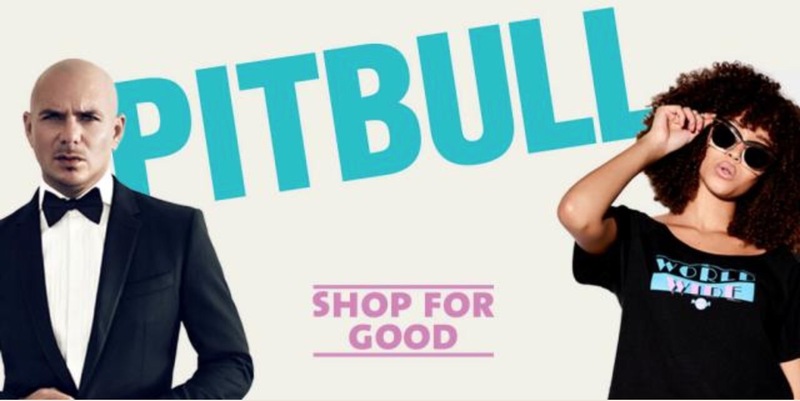 Fifteen percent of the retail price ($27.50) of each Pitbull Signature Series Shirt will be donated to the SLAM! Foundation through the Hard Rock Heals Foundation. Previous Previous post: Happy 36th Birthday, Pitbull!